Congrats to Joni at Wellness Essentials - your number came up. Who says the early entries never win? Joni was the second commenter for this giveaway. Congrats Joni - I'll be anxious to hear if it helped with your heels! Be sure to respond to my email with your mailing info and we'll get your lotion to you asap. Enjoy. As most of y'all know, I have this little cooking blog over at Deep South Dish which means despite the fact that I do have a dishwasher - as in the machine, not a spare human person who washes all of my dirty dishes for me - I still seem to do a lot of hand washing. The larger pots, my good knives, measuring cups and spoons, and plastic storage bowls and kitchen tools. As soon as I finish cleaning the kitchen, seems I'm right back in there cooking again, so there are always dishes to do. While I try to use gloves, I often don't, and that means my hands are in hot water a lot. I was delighted when I was contacted by Skin MD Natural to see if I would be interested in trying their product, and it couldn't have come at a better time. Besides being in soapy water a lot, my skin also tends to be on the sensitive side which means cold and windy weather can nearly instantaneously chap my face and hands and makes my hands horribly scratchy and dry. This also causes the skin to crack around my cuticles and knuckles. When the lotion arrived it was timely, because my hands were in pretty rough shape from this unusual southern winter. I was already testing a different regime with my face, so hands, arms and elbows was where my focus was with this product. 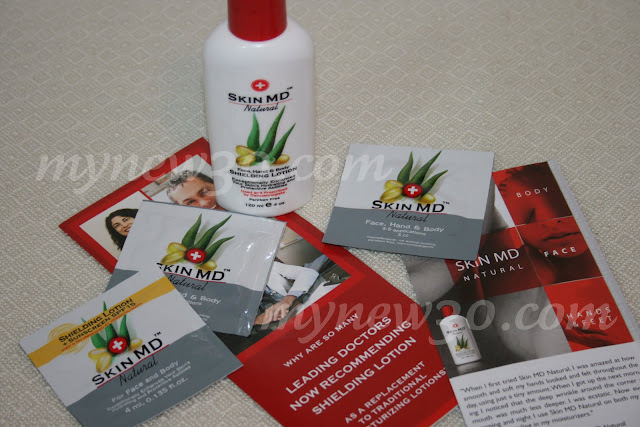 I received a full sized, 4 ounce bottle of Skin MD Natural Shielding Lotion, for use on the face, body and hands, in addition to some samples, including one that contains an SPF 15 sunscreen, plus some basic literature. The very first thing that I noticed with Skin MD Natural was that it was a very light, non-greasy lotion, and that was an immediate plus for me. I hate lotions that make you feel, well ... slimy. Second, while it is free of any specific fragrance, it does have a nice, clean and fresh scent to it that I love. Admittedly, the bottle seems small in comparison to the gargantuan drugstore lotions we are all used to, but it only takes the tiniest dab to apply. What really sets it apart though, is the amazing transformation your skin undergoes with that little dab, and near immediately. 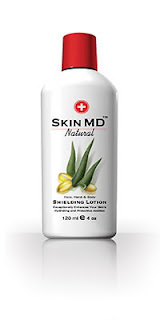 Skin MD Natural lotion absorbs right into your skin, and I can only liken it to one thing really. It's like slipping on a pair of silk gloves. I'd be willing to bet you'll find yourself rubbing your fingers together, because it feels like you are holding a swatch of silk between them! So soft and silky - just fantastic. I can't wait for you to try it! And it lasts - so you don't have to reapply it multiple times. As I mentioned, when the lotion arrived, it was great timing for a trial run since my hands were a bit weather beaten - chapped and red and the skin around the cuticles of my thumbs was horribly cracked and splitting. My elbows were also very rough and dry. Both of these areas have typically been problem areas for me for years and like most women, I have spent a literal fortune on lotions and potions that, for the most part, weren't any better than the one before it, only working to temporarily ease the dryness. This lotion really was different. It acted different. It felt different. And, in less than 2 weeks time the jagged rawness around both of my thumbs had completely healed and the rough patches of skin on my elbows ... gone. Usually that takes weeks of constant moisturizing, bandaids on my fingers and time consuming attention to get them back to normal. I literally just used the lotion and didn't think about it. So, what exactly makes Skin MD Natural different anyway? It is a unique kind of shielding lotion. Environmental irritants - like those found in antibacterial soaps, household cleaners, cosmetics, fragrances and other things we use every day - strip the protective barrier of natural fats and lipids from our skin, leaving the deeper layers vulnerable. The natural moisture in the skin evaporates, and takes in the toxins, leaving behind dry, itchy and irritated skin. Don't we all know what that feels like ladies, and believe me, once you hit perimenopause and menopause it's only worse thanks to the depletion of estrogen. Traditional lotions simply place surface moisture on top of the skin, providing only temporary, and sometimes unfortunately greasy, relief. As a shielding lotion, Skin MD Natural forms a protective shield with the outer layer of the skin, helping to lock in your skin's own natural oils and moisture and helping it to heal itself against those toxins and chemicals our skin encounters every day. Skin MD Natural not only adds moisture, but helps the skin with the loss of moisture. It bonds with the skin and provides longer protection and this lotion proves it. Hours later, my hands feel just as soft as when I applied the lotion! The single issue I have with the product has nothing to do with the lotion, but the pop-up top packaging. I tend to shake bottles before using them - it's a habit really, but also intended to redistribute the lotion that has drained down into the bottom of the bottle back up to the spout. The top on the bottle I have is a bit stiff, and to press it in means squeezing on the bottle, so when it snaps open it spits out the product. It took me a few times of spitting lotion on my bathroom mirror to learn to press on the top while pointing it into my cupped hand! But, in reality that's a minor issue in comparison to the sheer quality of the lotion inside. 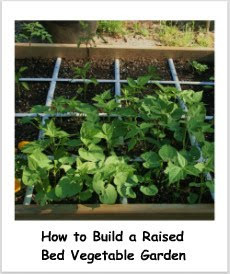 Since gardening season is right upon us and I am a big hands-on gardener - meaning I have my hands straight in the dirt a lot - I already know my hands will take a beating. I'm excited to have been introduced to this impressive lotion and have high expectations that it will help to keep my hands in top shape. Hypoallergenic, dermatology tested, fragrance, colorant and paraben-free, this lotion gets a big thumbs up from me and I know you'll want to try it. To find a location where you can buy it, enter your zip code in the store locator at the website. Now on to the fun stuff! Skin MD is offering one lucky reader a bottle of their own Skin MD Natural Shielding Lotion! Visit the Skin MD Natural website and find one thing that impresses you about Skin MD Natural over other typical, over the counter moisturizers that you have used before. Maybe something that you think it will be especially helpful for you due to a particular skin condition that you deal with. Come back here and leave a comment about it. That's it! 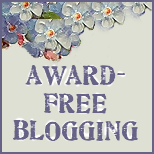 ➮You must leave an email address in your comment, or have a link to your email in your clickable profile. ➮The winner will be notified by email and will have 48 hours to reply. Disclosure: Skin MD provided me with a free bottle of their lotion and a bottle to offer to one reader. I like the fact it is made from natural ingredients and it does not leave your hands greasy. This looks like an awesome product. I'm wondering if it would heal my dry cracked heels. I like the fact that it actually shields your skin from the bad stuff while hydrating with the good stuff. (no need to enter me) Just wanted to say I LOVE this for my face moisturizer! I've replaced my other stuff for this. I keep it put away so the kids or Mr. won't use it up, lol. Oh it looks like a great product! Though I can't be entered, I'm in the UK (shucks!) Great review though!! I like that it's made from natural ingredients. I have very dry skin around my nails (from years of nail biting) and would love something to help with that. I love the fact that it is not greasy. My hands could really use this product. I like the fact that it is 6 times better than glycerin and glycerin is supposed to be the cureall - so this must be good lotion. Would love to try it for my horrible looking hands and I mean horrible looking! Natural ingredients and no fragrance. The natural, non-greasy feel. Love it. I wash my hands a lot and to know that it is a non greasy moisturizer was a plus and made from natural ingredients. I love that! I have problem hands. They are dry and rough. I would love to find a lotion to help my problem. It's all natural, non-greasy and has 6 times the moisturizing factor as glycerin. My skin gets so dry in the winter. This would really help. Glycerin 6x! I like that didn't they back in the day use rosewater and glycerin? Like that seals and protects the layers of the skin..
Oh BONUS! It's carried at the CVS down the street from my house!!! This is the product I 've been waiting for. I work out in the garden alot and tend to the farm animals so frequent washing is drying my hands out and have not truly find a product that I can be happy with. Thank You! I have a ezcema spot on my finger that itches the fire out of me, I wonder if this would help, and of course I love the fact that it is natural ingredients. I've tried many different creams/lotions without success to help heal the cracking in my knuckles/finger creases, and would love to try this one! I also have very sensitive skin, and so many of the lotions/creams make things worse, and greasy!! Giveaway is closed! Thanks for entering and good luck!! Check back for the winner soon.